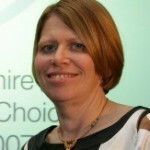 Staff and children at Bright Kids Crabbs Cross were delighted to welcome Redditch MP Karen Lumley today (Friday 9th May). 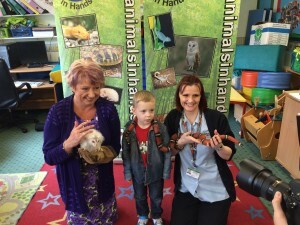 The theme for Karen’s visit was National Children’s Day (11th May) which this year focuses on encouraging children to connect with nature. 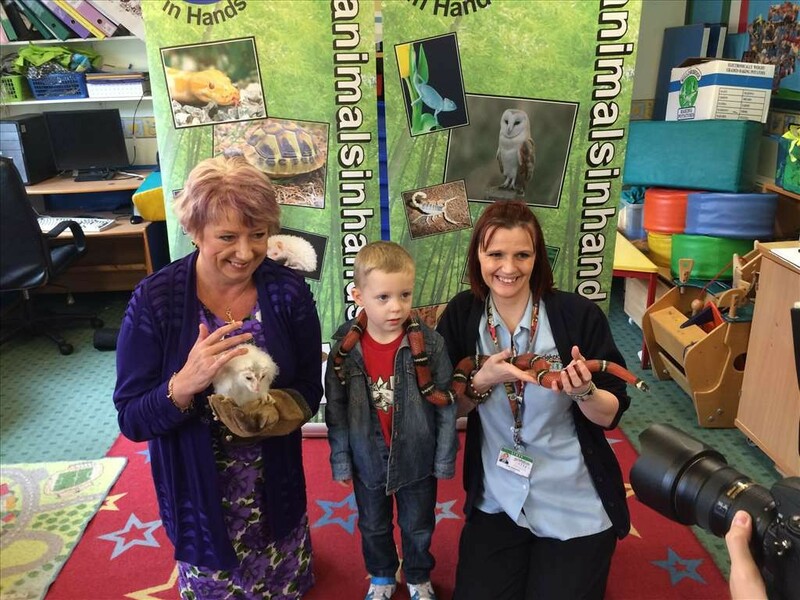 They were also joined by Mohammed Safeer from Animals In Hand – a natural history lecturing service which visits settings with a range of exotic and furry animals to bring alive the wonders of nature to young people. 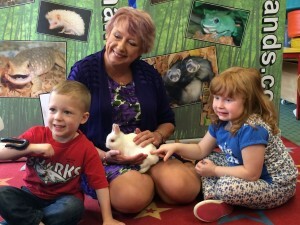 Pictured are (Left): Karen Lumley MP, Fearless Liam Flynn, age 4 and Nursery Manager Anita Shepherd and (Right): Liam Flynn, Karen Lumley MP and Chelsea Vaughan, age 4.